Connect VHS player or camcorder via RCA out to the included USB capture device. Connect the capture device to your PC's USB port. 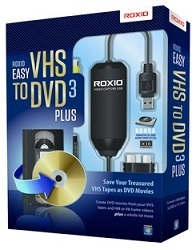 Capture and transfer movies to DVD, iPhone, iPad, Android tablet, post to Facebook or YouTube.